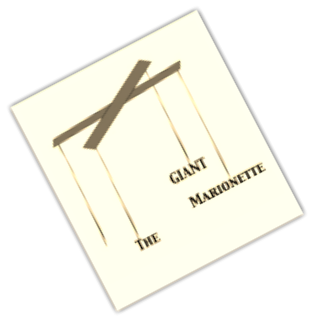 The Massive Marionette - NotOnly4Boys Theatre Co.
﻿In 2012 NotOnly4Boys created "The Massive Marionette" which premiered at Mintfest 2012 in Kendal. The act was loved by the Kendal audience so much so that it was featured in the Westmorland Gazette and Joe was interviewed by BBC radio Cumbria. The act is now hired out to Party's, Fetes, Christmas markets and Weddings. The puppet Master, Mr Rebus and his puppet Gisweep can stroll around for up to 3 hours and maybe even with a bit of fun and magic, Gisweep could become a real boy! costume and human sized marionette puppet! A 2 man walkabout performance.